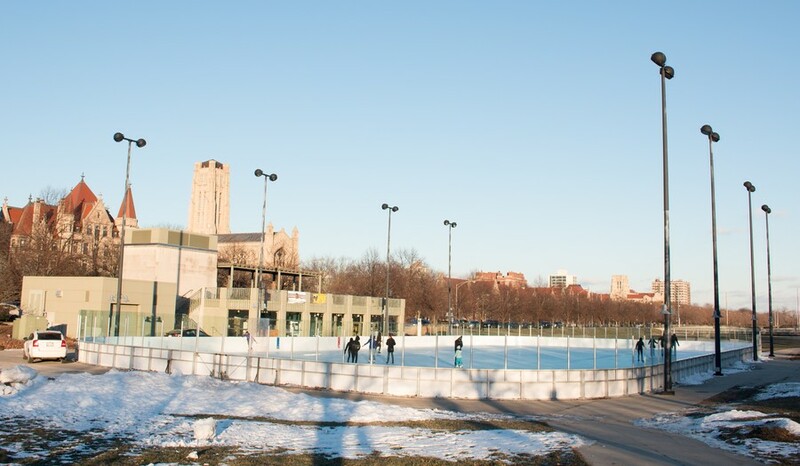 The ice rink located in the Midway Plaisance Park has been shutting down for days at a time since January 8 due to technical malfunctions with the cooling rods that keep the facility’s ice below freezing temperatures. The rink was closed to rebuild the sheet of ice after it began to melt last Friday, January 8. Business reopened the following Monday, only to close once again on Wednesday, January 13 due to similar issues. The rink remained closed for all of the following Thursday to address the problem and has since reopened. The cooling rods malfunctioned and the ice was defrosting instead of freezing,” Lamicha Hargon said. Hargon is a manager at the facility. A technical specialist on staff for the Chicago Park District was dispatched to investigate the issue. The rink’s cooling rods were drained of nearly 1000 gallons of liquid to find and repair a leakage before being re-fueled. Hargon noted that this problem has never occurred at the Midway Plaisance ice rink before. Staff at the facility said that the recent bout of warm weather in the Hyde Park area had caused the ice to melt more quickly than usual. Hargon stated that the problem had been fixed and that staff would continue to be cautious of future complications.